they have become experts in celebration and their uncanny ability to read the audience and deliver an impeccable performance is breath-taking. 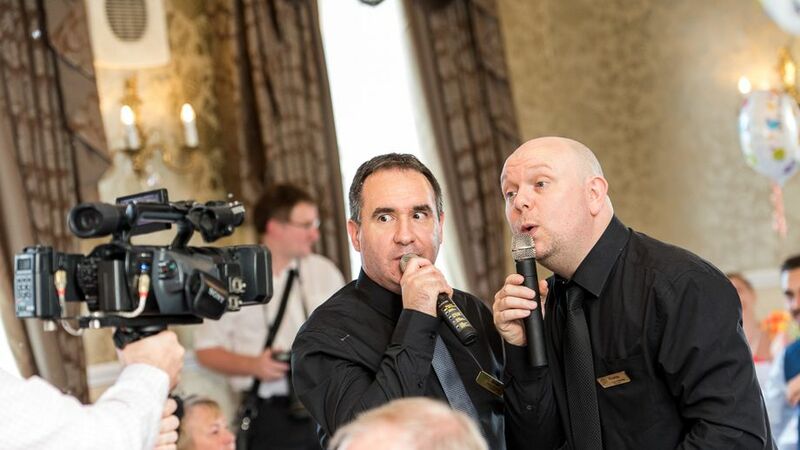 Maurice and Darren were absolutely brilliant at my daughters wedding. I booked them as a surprise and only my wife and myself knew about them. Everyone there didn’t have a clue so the surprise worked. We had a brilliant time and my daughter thoroughly enjoyed their show. They had everyone joining in and having fun and were the talk of the evening. EXCELLENT GUYS AND THANK YOU. We booked these amazing waiters for our wedding in June. 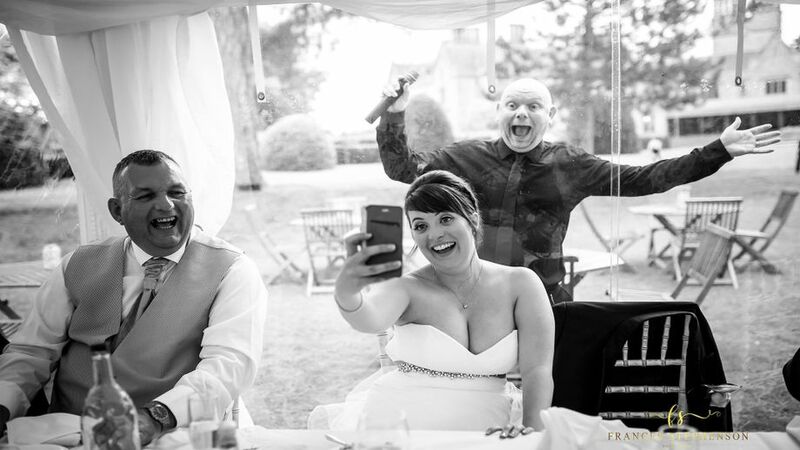 We wanted our wedding to be one big party and boy did these two not disappoint. From the very beginning they had the room in their hands. 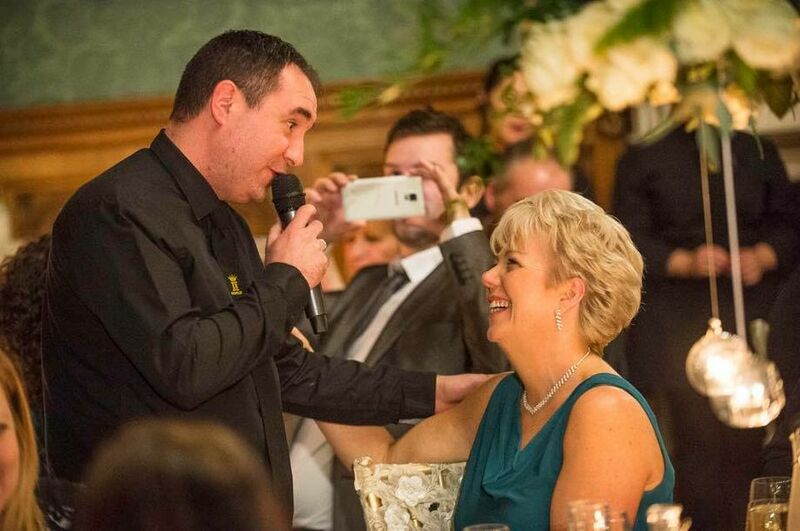 The comedy, the singing, the interaction with all of the guests and they got everyone involved including the children. We will never be able to thank these guys enough. 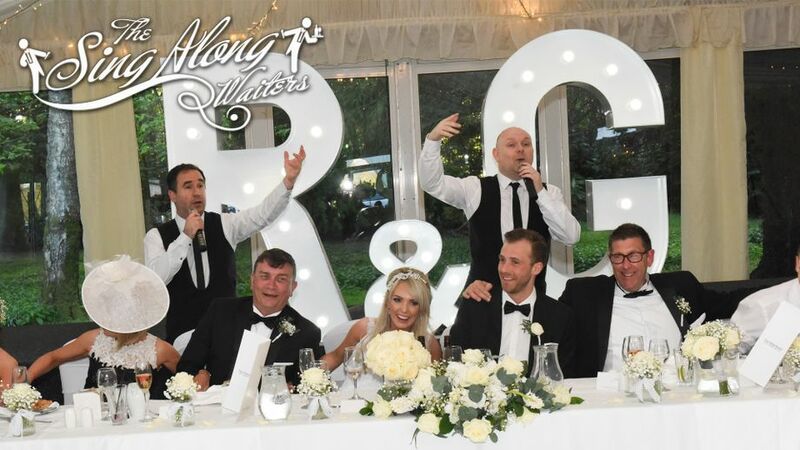 We had over 100 guests and they had every single one of them singing along and joining in the fun. It is, by far, the most talked about and fondly remembered part of our day. We are so over the moon we booked you, the best money ever spent. Our wedding guests had no idea at all...then from the minute you started everyone was hooked and wanted more. 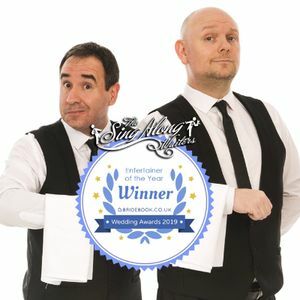 We would one hundred percent recommend these two guys so good at what they do and you would never have guessed they were not real waiters as they interact with the real staff 😆 Absolutely brilliant. Thank you so much for being part of an amazing day. Zoe & Martin aka Marvin..